As previous leaks suggested, the handset comes with pretty decent specs and is heavily focused on audio capabilities. 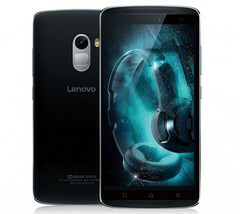 Lenovo's newest smartphone, the Vibe X3, has been officially unveiled today. As previous leaks suggested, the handset comes with pretty decent specs and is heavily focused on audio capabilities. Lenovo Vibe X3 will be available in two variants - the more premium one sports a Qualcomm Snapdragon 808 chipset accompanied by 3 GB of RAM, as well as 32 or 64 GB of on-board storage. There's also a micro-SD reader on board for further storage space expansion. The 5.5-inch display offers 1920 x 1080 pixels resolution and is covered with Gorilla Glass 3 for protection. It also comes with dual-SIM capability, 4G LTE, as well as 3,600 mAh battery with Qualcomm's QuickCharge 2.0 technology. On the camera front, the primary unit boasts an impressive 23 MP sensor with phase detection autofocus and 4K recording. The front-facing camera allows shooting 8 MP selfies. The second model, dubbed the Lenovo Vibe X3 Youth, features a MediaTek processor clocked at 1.3 GHz, 2 GB of RAM and 16 GB of on-board storage, expandable via micro-SD. Also the cameras come with slightly lower specs than what the 'regular' version offers. The main camera uses a 16 MP sensor, while the front-facing one shoots at 5 MP. The battery is slightly smaller but is replaceable. 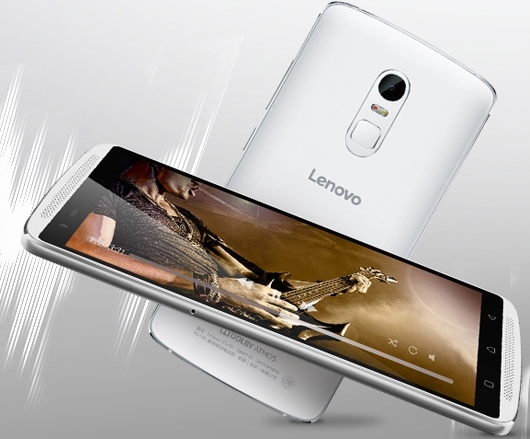 As mentioned before, both variants of the Lenovo Vibe X3 come with heavy focus on audio. They are Dolby Atmos certified and use three Texas Instruments OPA1612 amplifiers, a Cirrus Logic WM8281 codec for noise and echo cancellation, as well as a high-end Sabre 9018C2M DAC. Both models feature fingerprint scanners on the back. The new smartphones are only availabe in China at this point. The top 64 GB version has been priced at CNY 2,999 ($470), the 32 GB at CNY 2,499 ($390) and the Youth version will cost buyers CNY 1,899 ($300). No information about availability on other markets has been released yet.